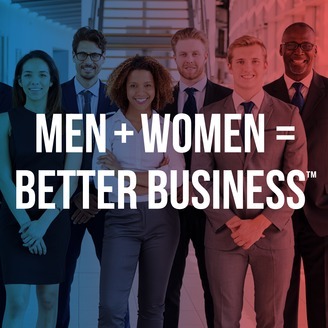 Men + Women = Better Business™ aspires to lead men, women and organizations to greater career, leadership and financial success. Cohosts Leslie Grygiel and Kevin Bronson boldly discuss and explore solutions for the challenges men and women face with each other in the workplace. Our goal is to promote a higher level of conversation, understanding and co-creation of a work world that is more fun, engaging and productive, because multiple studies have proven that having more women at every level of leadership improves an organization's financial success. And men, we need and want your support! Leslie and Kevin explore the concept of power dynamics in the workplace. Men, do you realize that women perceive you to have invisible power in the workplace? Kevin asks: How can we use this power for good, not evil? Leslie says it all starts with awareness. 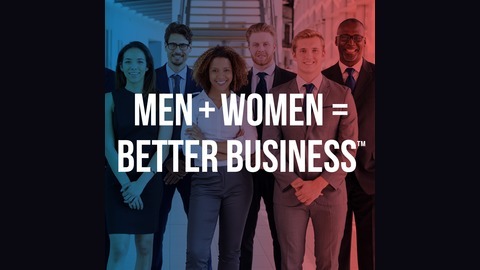 Join us for a lively discussion of how men and women can work together to even out the power dynamics in the workplace and co-create better organizational outcomes for all. This is our final episode for Season 1. Listen, comment, rate and share with others who may benefit. We're eager for your feedback as we begin planning Season 2!